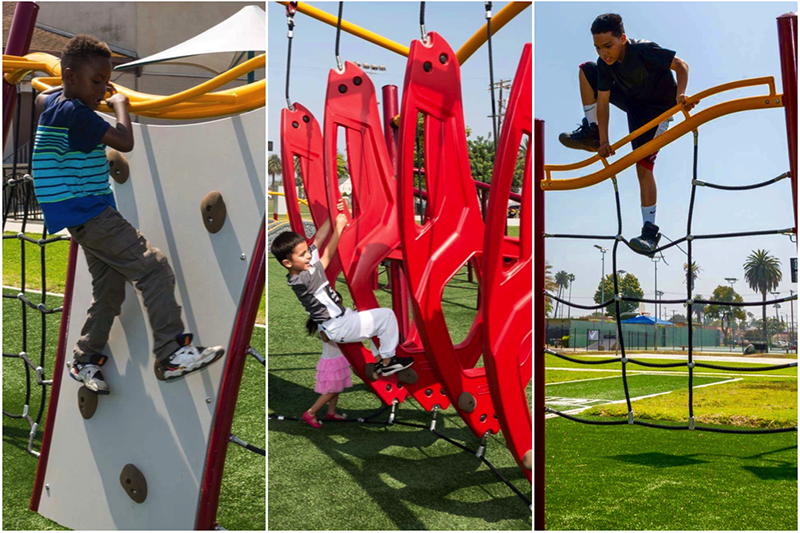 GameTime recently opened a new Challenge Course at Jackie Tatum/Harvard Park in South Los Angeles. The Youth 5000 Series Course features 11 challenges that are designed to provide a fun and exciting workout for children and families. The course includes a precision timing system that allows users to track their time on the course. It's also compatible with the Challenge Course Timing App for iOS and Android. 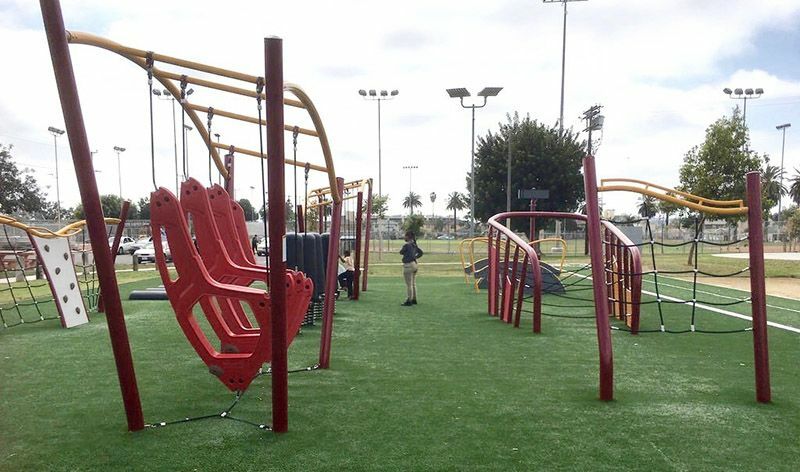 The challenges on the Jackie Tatum Harvard Park Challenge Course are designed to look like events seen on popular obstacle course television shows, but meet the playground equipment standards for children ages 5-12. The course begins with the Ninja Steps. 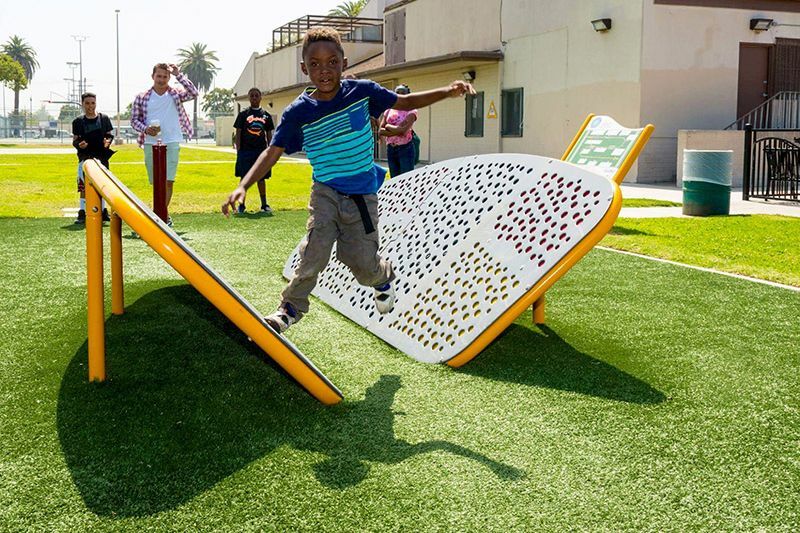 Users run and leap from one side to the other as they begin their run on the Challenge Course. A wide range of climbing activities provide varied challenges and offer multiple ways to navigate the course. 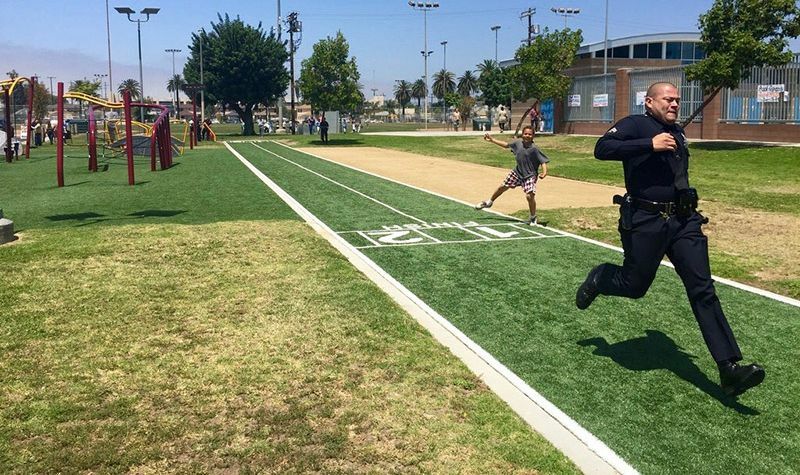 The course also features a timed, two-lane 40-Yard Dash so friends and family can enjoy some friendly competition.